West Coast extreme metal marauders OBLIVION are pleased to officially unleash the audio punishment that is their Called to Rise full-length upon the masses next month. Focused on crafting music to transcend time and genres, OBLIVIONfeatures a compelling cast of characters with All Shall Perish founding bassist Ben Orum, vocalist Dr. Nick Vasallo, a professor of music and internationally acclaimed modernist composer, guitarists Ted O’Neill and Victor Dods who’s currently completing his PhD in mathematics, and drum prodigy Luis Martinez, trained by renowned jazz funk musician Ndugu Chancler. 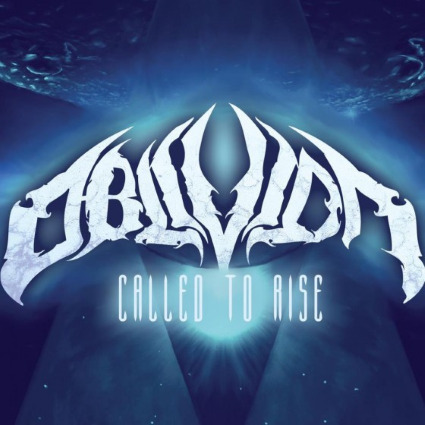 Initially self-released early 2013 to the riotous endorsement of fans and critics alike, OBLIVION‘s Called to Rise was produced by Zack Ohren of Castle Ultimate Studios (Suffocation, Immolation, Decrepit Birth, Deeds of Flesh) and sold out in just a few weeks. Crowned “the must-own album of 2013,“ by Metal Injection, “the finest debut ever written,“ by Metal Archives and a “progressive metal masterpiece,” by Sputnik Music, who furthers, “the band’s eleven song display of nothing more than pure aggression with more musical depth than many bands can find in their entire discography,“ Called to Rise is among death metal’s best kept secrets of the year. Called to Rise was rereleased via Unique Leader Records on October 15th with four bonus tracks. For preorders, point your browser HERE. I love me a band that’s all about stretching the boundaries of music. 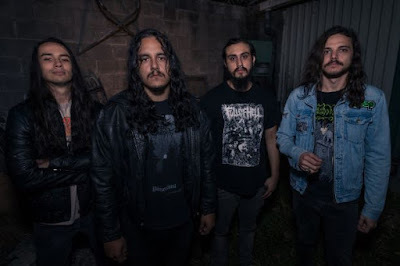 Bay Area metal explorers Oblivion have opened up dark new horizons with their debut release ‘Called to Rise’. It’s 15 tracks of some of the most extreme, most pioneering metal ever to grace the soundwaves and, here at The Sludgelord, we’re very honoured to get to review some mighty stuff. Take a deep breath, and here we go. The Oblivion guys have set out to create something with more scope than a Tolkien odyssey, and more bite than napalm tequila shot. We’ve all heard the saying ‘leave no stone unturned’ – well these guys leave no note unplucked in their pursuit of creating the most epic melody. 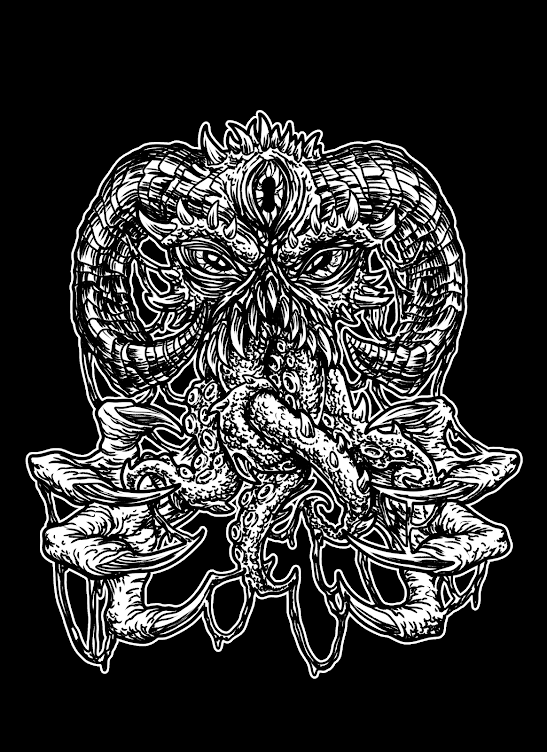 If you’re a fan of technical, orchestral, grandiose death metal, then Oblivion are the guys to swoon for. Feel free to check out ‘Multiverse’ if you want the perfect example of ‘Called to Rise’s epic sonic stature: starting with subtle guitar and piano harmony, it’s nearly a minute of delightful bliss. Then the shredder comes down on your face and turns it into so much grated human cheese. Nick Vasallo’s vocals are the catalyst to this sonic concoction, causing this melee of sound to reach frothingly brutal heights. What’s intriguing about ‘Called to Rise’ is the final set of songs. Dr. Vasallo’s classical connections have obviously been at work here, I suspect, as we have three songs actually done by a string orchestra. Whenever such occurrences like this appear, to me, Apocalyptica spring instantly and happily to mind and these orchestral pieces are classical mirrors of their heavier counterparts: retaining the shred and intensity, yet adding an elegance and grace to the brutal proceedings. It’s a really clever method of showcasing how versatile your music is: a Swiss Army Knife of riffs, if you will. ‘Binary Souls’ from this album is one that made my hair stand on end with its electric riffery. At times doomy, at others so technical it could build monuments of sound, ‘Binary Souls’ lifts itself above the norm by being insidious and intriguing, drawing you into its dark realm with a circus master’s flair. Up there with it as my picks from this crop of wild metal is ‘Cancer of Wraiths’, an unrelenting tour de force of slamming technical death metal that fairly rips your ears right off the sides of your head. Oblivion is a band comprised of masters of the metal art: ‘Called to Rise’ is an album, therefore, of sure-fire metal classics, crafted and honed to surgical precision, guaranteed to ignite the flames of sonic passion inside you with every listen. Close your eyes, put your headphones on, and surrender to Oblivion.